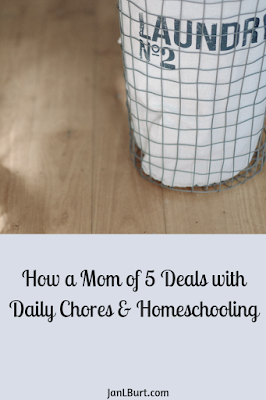 How to manage the daily maintenance and running of your home while maintaining a successful homeschool is one of the greatest challenges the home educating mother will face. It's not just about time management when you live this unique lifestyle; I would venture to say it's actually about maintaining the sanity of everyone who lives and learns within the four walls known as both "HOME" and "SCHOOL". Nobody knows how to make a whole lot fit into not a whole lot of space like a homeschooler, am I right? But managing to fit a school into your home does not help to keep said home tidy and sparkling clean. 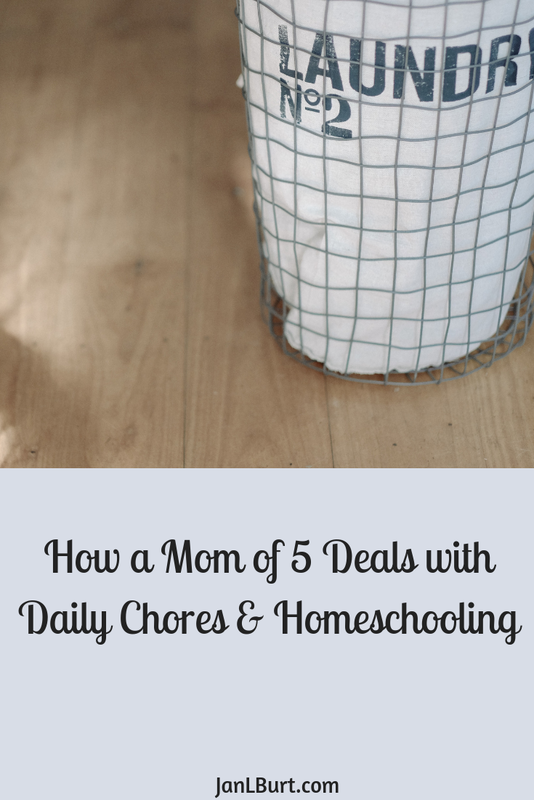 So the homeschooling mother can find herself asking, "How do I keep up with the day-to-day housework in addition to teaching my kids?" And while there probably are not any one-size-fits-all solutions that would make every single homeschooling household run like a dream, I can offer some suggestions gleaned from 25 years of motherhood and homeschooling. ~ Probably the best piece of advice I can give you is to start your children early on the road to daily chores. Taking out the trash and sweeping the floor can be done by most any child. Pushing a vacuum or cleaning bathroom sinks and mirrors - same story, different verse. And more difficult chores - like helping to make lunch, properly sorting, washing, drying and folding laundry, or mowing the lawn - can be done by older, more responsible children. Start them early and make it a part of their daily homeschool assignments. ~ The next best piece of advice would be to have a daily/weekly plan (basically, a chore chart). Maybe you could make a list of chores that need to be done daily, and then assign each child one chore daily, Monday thru Friday. This won't take care of all the daily household to-do's, but it will make a dent in them. You can enjoy the home you live in while also homeschooling in it. Having a plan for chores can help you find that spot of enjoyment. And then, one day in the all-too-soon future, your children will grow up and your home will be easier to clean and will stay clean longer and believe me when I tell you that it will be here before you know it. I won't tell you to embrace the mess, because for some of us that just isn't gonna happen. But I will tell you to make the best of it by doing something every day to combat the mess while maintaining your sanity. That's a win-win for everybody in the home. Be blessed today as you keep on keeping on in this crazy-awesome homeschool adventure!